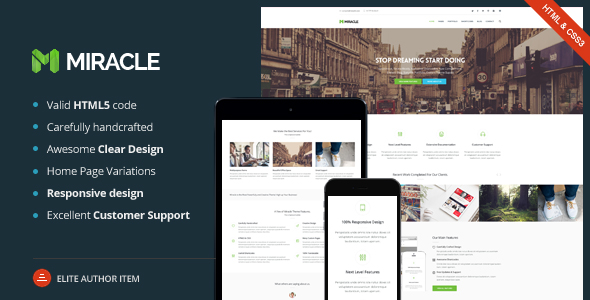 Miracle is a multi-purpose WordPress Premium Theme that is loaded with many different options and is fully responsive. It contains a total of 58 pages! The clean, modern design can be used for any type of website; corporate, portfolio or business website. We carefully handcrafted Miracle with a focus on usability. With a responsive design, it is easily usable with any device (desktop, tablet, mobile phone), without removing any content!